Like most post-2008 industries, children’s literature has struggled to survive a bottomed-out national economy. Bailout billions tossed at banks and brokers never trickled down to publishers, writers or illustrators. Even as I interviewed Publisher’s Weekly Editor-in-Chief Sara Nelson about the long term outlook for children’s publishing, another axe fell and her job was eliminated. Clearly, the cuts are deep and dangerous. But as Nelson herself insisted, hope does yet endure. If evolution is the path to survival, what shifts might be necessary along the road? Many experts agree, these five steps are a great place to start. According to Nelson, more than 300,000 titles are published each year, “a ridiculous number,” she insists. If the children’s book industry and other branches of the publishing family exchange excess for exception, hope may be within sight. When Vice President and Publisher of Greenwillow Books, Virginia Duncan agreed to publish my 2009 nonfiction picture book, Saving the Baghdad Zoo: A True Story of Hope and Heroes, it was an exception to the her general rule. “We do so little nonfiction,” she said. “It needs to be of broader interest,” to even be considered. Duncan and many other editors feel nonfiction books that tell a very specific and dramatic tale – like animals endangered by war -- might fare better in today’s economy than less pointed proposals. And librarians seem to agree. Marin County Day School librarian Anie Schafer agrees. “Make it good -- well researched with great art and/or photographs; not like anything out there to make it into my collection,” she says. Dig deep when you prepare your nonfiction book proposals and find a slant that gives readers and book buyers something new to think about. When it comes to writing fiction, the considerations are very nearly the same. Ephraim leads seamlessly to the next survival tip. Write for neglected audiences. Even if you find it easy to imitate various success stories, selling the work will be hard as acquisition dollars shrink. If you already publish Stephenie Meyers, why pay for a clone? Avoid reinventing the wheel and blaze a trail of your own. Write for readers underserved, including boys and reluctant readers. Breakthrough novelist Andrew Smith, Ghost Medicine (Feiwel & Friends, 2008) and In the Path of Falling Objects (Feiwel & Friends, 2009), thinks more men should step up to write books expressly for boys – or even to publish them. Nelson agrees. “I think anything that can be done to increase interest in reading by young boys is great – but I think it’s false and insulting to assume that because women are ‘in charge’ in publishing, they’re all too prissy to publish for boys. Have you ever met Carrie Kania over at Harper Perennial?” Kania, according to the New Yorker, has a passion for “losers” or writers who have lived life close to the edge. And the truth is, it’s not just about gender. Some young readers – male and female -- are not finding the subjects they long to read about in their libraries -- kids outside the norm in terms of childhood interests. They’re dying inside -- isolated and alone because everyone else seems to love typical books, but they can’t find their titles. They are the reason I write quirky fiction about dinosaurs and lake monsters. They are the kids I once was. Want to rise above economic disaster? Serve a reading population – with authenticity -- that normally falls through the cracks. It’s irresistible. Never judge a book by its cover. It’s often said. And yet, from a book buyer’s perspective, it’s an impossible aim. “I automatically overlook an ugly cover or one with juvenile looking art,” says teen services librarian Schultz. And many others agree. 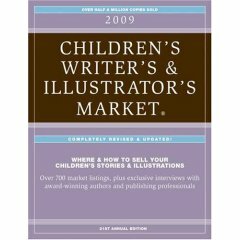 In fact, many authors lament the weakness of their book cover designs, knowing the power of visuals in relation to kids. Awkward titles can be just as dangerous. Tales of the Cryptids (Darby Creek, 2006) seemed like a fun play on words when I wrote my book of mysterious animals. And it’s sold very, very well. But literacy expert Katherine Baxter made an excellent point when I talked with her by email. “Kids don’t know what a ‘cryptid’ is,” she observed. “Why make them guess?” Baxter felt the book itself was compelling, but said the title should have been more direct, and the cover more compelling. Traditional advertising dollars are shrinking along with publishing budgets, so marketing efforts must also evolve. Case-in-point, Jay Asher’s 13 Reasons Why (Razorbill/Penguin, 2007). Word-of-mouth briefly launched the author’s debut novel onto the New York Times children’s book bestseller list shortly after its release. But creative marketing gave it a return engagement more than a year later. Digital strategist Regan Meador at Grey New York, a PR firm (hired by Razorbill) helped create YouTube video shorts drawn from key scenes in the book to revive interest and sales. Once the book hit #3 on its second bestseller list run, the campaign’s success was undeniable. Just the thought of digital book publishing sends panic into the hearts of many authors and illustrators. But with innovation comes opportunity. Thanks to Amazon’s Kindle – a wireless reading device as thin as a magazine launched in November of 2007 -- the e-book craze might be here to stay. As many as 280,000 Kindle readers reportedly sold in its first year of availability. In fact, Amazon’s initial inventory sold out in just over five hours, the day it debuted. Founder Jeff Bezos insists that number will skyrocket as the “new product” fear-factor subsides. Each Kindle can hold up to 200 non-illustrated book downloads. Amazon offered 88,000 options its first year out of the box – along with newspapers and magazines. With an optional memory card, an e-library of illustrated options becomes more feasible. Downloads are more affordable than traditional books, so there is less cash to divvy up per unit. But production costs are lower (no paper or bindings), and storage costs are all but nonexistent – no warehousing digital downloads. Even distribution is simpler. Though limited to key online outlets for now, in-store kiosks could easily bring chains and independent bookstores into the game. It’s only natural in a digital age, according to Nelson. “The first word my son learned to spell was ‘install,’” she says. “So yes, I do think digital availability will help further the sales and consumption of children’s books. I also think children can and will still learn the value of holding an actual book in their hands.” Nelson sees no real conflict in coexistence. Traditionalists, take heart. Electronics is not the only road to innovation. Book design also represents a brave new horizon. Consider the appeal of books like Lincoln Shot: A President’s Life Remembered (2008, Feiwel & Friends). Written by Barry Denenberg and illustrated by Christopher Bing, the oversized (12” x 18” trim size) hardcover picture book uses the look of Lincoln era newspaper reports – and modern facsimiles -- to transport readers back in time. In an interview on the publisher website, Denenberg explained how the unique format eventually evolved after meetings with the author, illustrator and publisher, Jean Feiwel – and later, the entire production team. “The discussion immediately focused on our obsession with historical accuracy,” he said, “and the challenge of presenting history to young readers in a new, edgy way. This flowed naturally to creating a newspaper or magazine that was written back then,” he explained. Newspaper folds and the potential damage they represent took the box and “insert” idea off the production table, but inspired the final design. Lincoln Shot became a large book to mirror exactly the 1866 newspaper format, literally bringing history home. Why go to so much trouble? As a writer-in-residence, Denenberg had observed that elementary school age kids didn’t read much nonfiction. He, Bing and Feiwel wanted to make Lincoln Shot a book that was impossible to ignore. It was daring. The oversized design would also be hard to shelve in bookstores and libraries. But it was a risk they were willing to take. Almost immediately, dozens of publications validated their decision. Booklist named it an Editors’ Choice. School Library Journal named it a Best book of the Year. Glowing response appeared in Horn Book, Kirkus, the New York Times, the San Francisco Chronicle, USA Today and the Washington Post. The gamble – and bold innovation – paid off. Once you’ve found your new angle and your new audience, once you’ve welcomed digital and other futuristic inclusions, once you’ve designed a book that stands out in value and appearance, the human connection remains a crucial element. So reach out and make them. Bookstores, especially independent bookstores, still welcome author interaction in their children’s departments. But step outside of the reading box. Make yours an in-store event – literally. Bake book related cookies and have a tea party. Prepare a craft even a kindergartener can master. Teach little readers how to draw. Create masks and have a dinosaur parade. Do something that makes your bookstore event impossible to ignore or deny. Happy kids make happy parents. Happy parents buy books. Happy booksellers make enthusiastic recommendations even after you’ve gone home. Innovative bookstore events are the gifts that keep on giving, even if you’re not around to watch most of it unfold. School visits can also improve with innovation. When I talk about Dinosaur Parade (Lark, 2008), I don’t just read from my book. I share fossils drawn directly from the pages. And in one school, I sold more than three dozen copies. When Nancy Roe Pimm shares her book Indy 500 (Darby Creek, 2006) she brings her Indy 500 husband’s helmet and driving suit, along with checkered flags and pieces of thrown off tread. Bring your book pages to life with fun and facts, and you’ll see your speaking calendar fatten. Visit more and more schools, and you’ll sell a lot more books. Why wait for your publisher? Take the success or failure of your book into your own hands. Kelly Milner Halls is a freelance writer and lover of all things weird, including her latest books, Dinosaur Parade (Lark, 2008) and Saving the Baghdad Zoo (Greenwillow/HarperCollins 2009), and other classics including Mysteries of the Mummy Kids (2007) and Tales of the Cryptids (2006), both from Darby Creek. She lives in Spokane, Washington with two daughters, two dogs, too many cats and a 4-foot rock iguana named Gigantor.